Every day men, women and children with medical needs go untreated because there are too few medical professionals to help. You have the education, the expertise, and the experience to make a difference. Mission Doctors who serve long-term staff hospitals and clinics for three years. Doctors serving these three-year terms spend time offering direct patient care, training staff and make a lasting impact. Every patient helped, every life touched, becomes an opportunity to change the course for one person, one family, or an entire community. Once accepted, doctors and their families join a four-month residential formation program to prepare their hearts and minds to live abroad and be of service. The formation program is held September through December. After completion, doctors begin their assignment. MDA provides airfare for long-term missionaries, as well as insurance and a small stipend. The mission sites provide room and board. Thanks to the generosity of donors to the James Carey Fund, Mission Doctors has the opportunity to pay the student loans of doctors while they are serving. 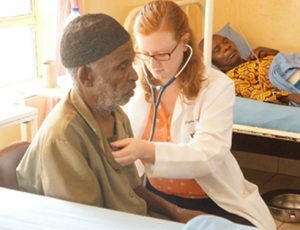 This option is available for qualified candidates, and allows doctors to follow God’s call to serve the sick. Most student loans also have the option to defer for up to 36 months. Should you need any supporting documentation required by your lending institution to qualify for deferment, Mission Doctors Association will provide the requested paperwork. When they return home, Mission Doctors and their families bring with them a change in perspective that enriches both their practice and their faith. 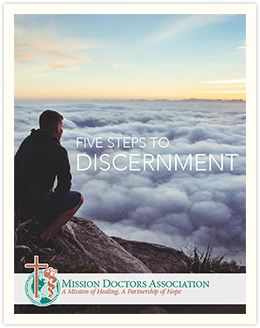 Discernment weekends for those considering long-term service are held several times a year. We also invite you to fill out an application form, and contact the office to learn more.